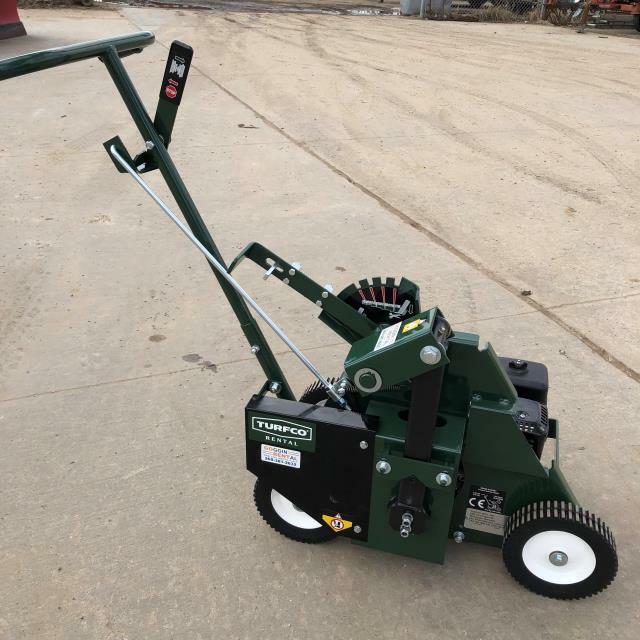 Machine is capable of cutting through over growth and removing turf along hard surfaces such as driveways, sidewalks and patios. Can also be used for edging around flower beds, bushes and trees. Has a choice of cutting blades for different applications, please inquire. Dimensions: 45" x 20" x 37"